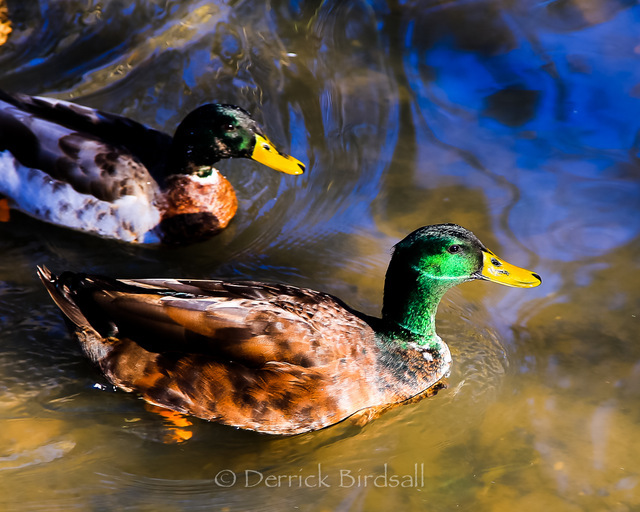 Nothing to see here folks other than a sharp looking mallard duck and some great light!! ~ by Derrick Birdsall on February 7, 2013. And kinda’ bizarre… just a few hours ago my wife was throwing some bread crumbs at one of this guy’s buddies! I remain in absolute awe at your way with colour! You might call me daffy (ha!) but I have to say those are some of the most beautiful colors I’ve seen in nature! You’re right, the light was absolutely perfect, Derrick, fabulous photograph!